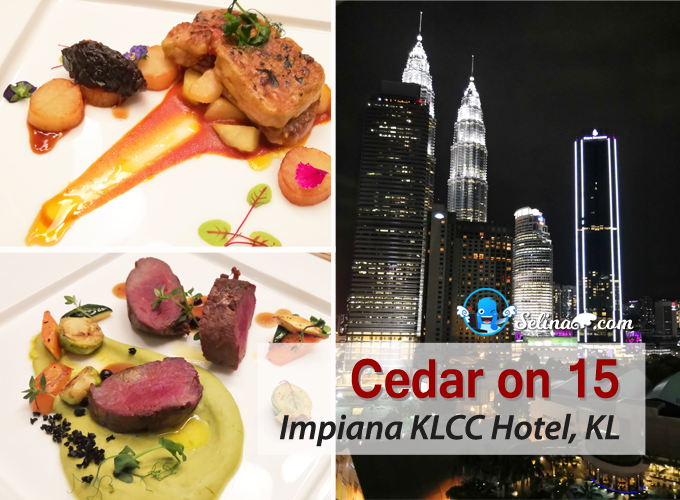 In Malaysia, the coffee and café concept business are blooming in the food industry. Nowadays, many people really love to drink coffee, make them feel to be happy, smile and enjoyed to chat-chit with your friends in a café. You used to see the latte art on coffee on many times when you are visiting the coffee café on different place. This is what make you felt that you really want to be barista when you watched on the skilled barista who are good at drawing the latte art on the coffee cup! 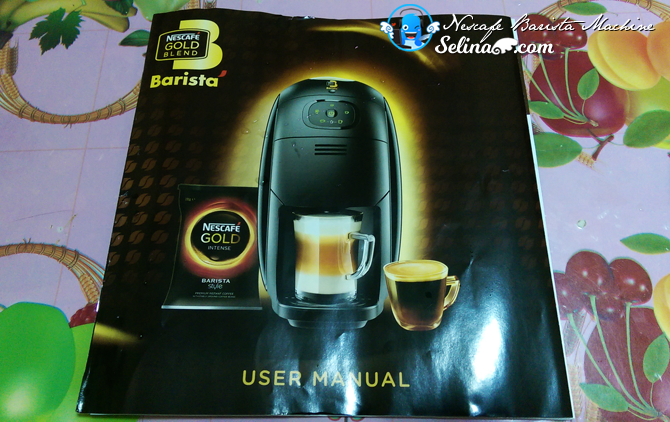 Then, you try to learn more about NEW Nescafe Gold Blend Barista Machine which be launched by Nescafe Malaysia! Involve Asia invited me and bloggers to attend their workshop to learn about the latest Nescafe brand machine which need to shout out to the customers who are coffee lovers in Malaysia, it will start to be launch on 14 September 2016. 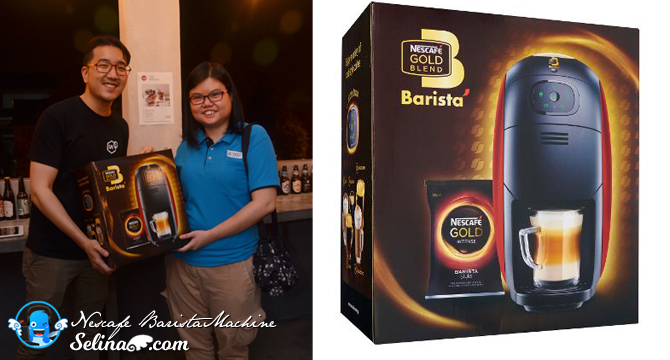 First time, I also happy to get a very new “Nescafe Gold Blend Barista Machine” from the Involve Asia X Nescafe Malaysia. 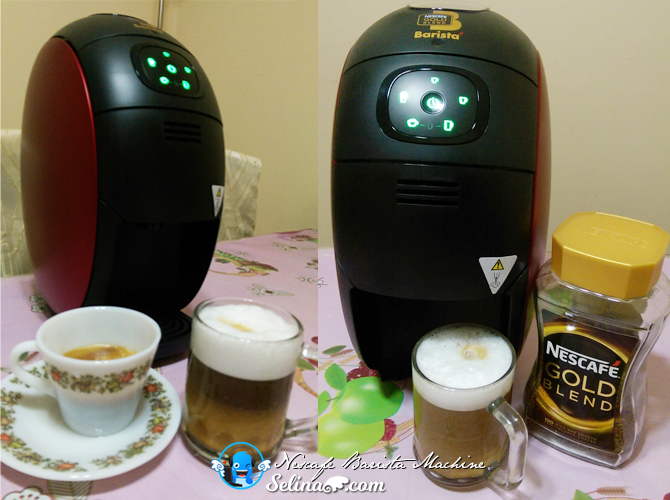 I really attracted to a very good design of package of “Nescafe Gold Blend Barista Machine”. 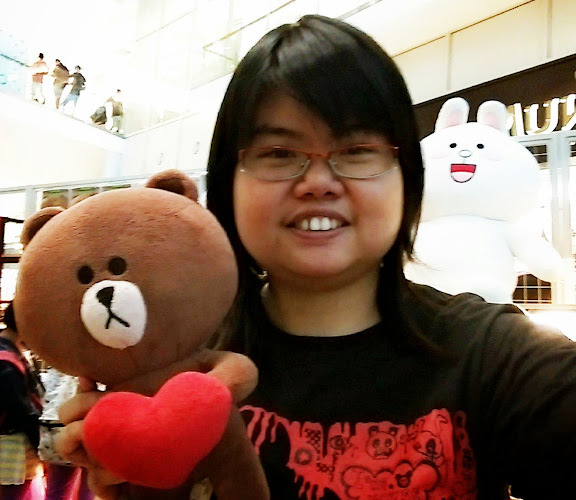 Thank you very much, Involve Asia and Nescafe Malaysia! Nescafe Malaysia get to do a new chance to help everyone who want to become Barista without the skill of making coffee, that can make more coffee with Nescafe brand machine! 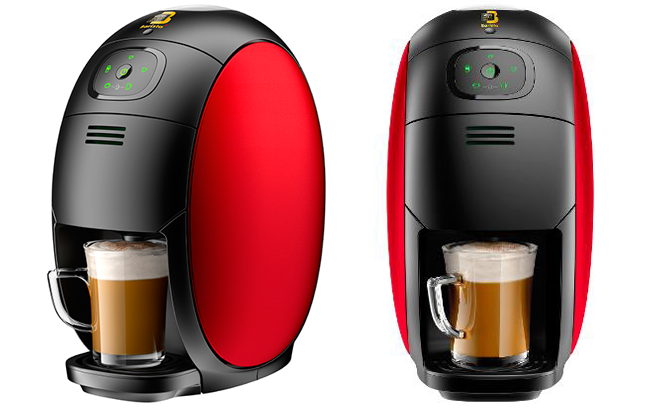 A very NEW Nescafe Gold Blend Barista Machine can let you, barista, and who can get Nescafe’s coffee on a daily basis! 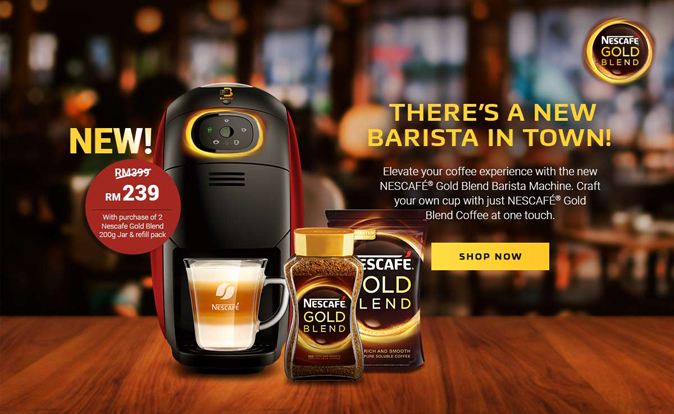 The Nescafe Malaysia’s PROMOTION: Nescafe Barista Machine with 1 Nescafe Gold Blend 200gm Jar and 1 Nescafe Gold Blend Refill Pack, RM239.00 when they will launch their promotion on 14 September 2016. NESCAFÉ GOLD BLEND Barista Machine is a smart tech innovation, designed to cater to the increasing lifestyle preference for café-style, barista-made coffee while delivering on the consumer preference, to creates a perfect, café-style cup of coffee with using the latest NESCAFÉ GOLD Barista Style Intense Coffee, a premium blend of soluble coffee with added micronized roast and ground coffee beans. It has seen huge success of coffee market in Japan, and Singapore where it is currently the number ONE coffee machine. 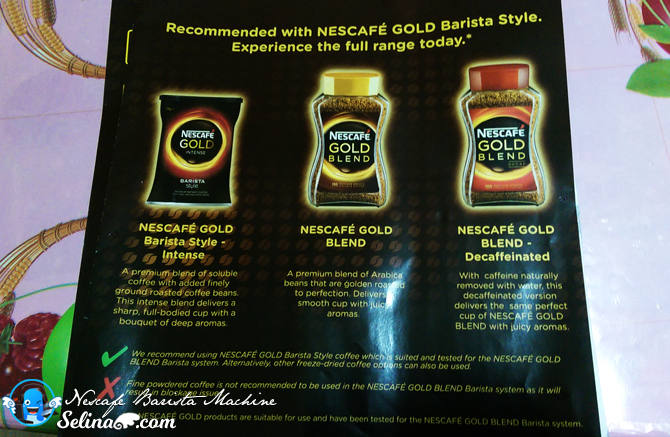 Why we must use the NESCAFÉ GOLD Barista Style Intense Coffee? Because it is high quality coffee beans which have been slowly roasted to perfection and then finely grounded, delivering a sharp, full-bodied cup with a deeply aromatic bouquet. That is created for NESCAFÉ GOLD BLEND Barista Machine. There are two colours be available are black and red. 1. Five different café-style coffees ; Espresso, Lungo, Americano, Latte Macchiato and Cappuccino are easily crafted with a single touch of a button. 2. Consumers are offered the seamless option of foaming their milk without the need for a separate frother. For milk coffee, simply pour fresh milk into your coffee cup and a hot water jet swiftly froths the milk before coffee is added – producing a delectable cuppa in next to no time. 3. The coffee system’s 15-bar pump extraction pressure delivers a cup of quality, full-bodied brew topped with smooth, velvety cream. 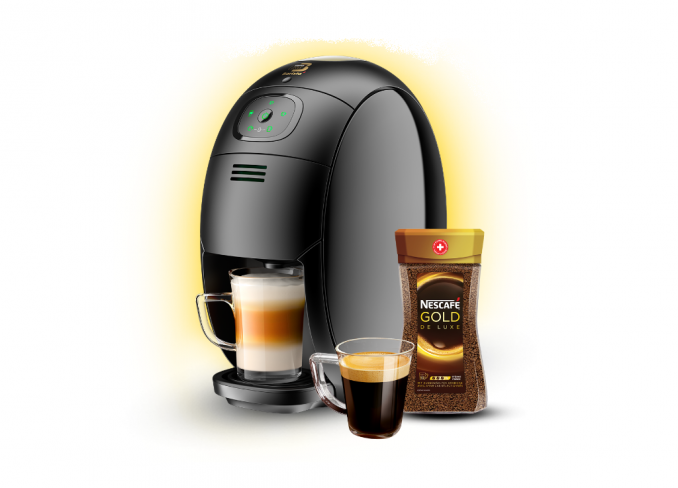 HOW we do with the NESCAFE GOLD BLEND Barista Machine? 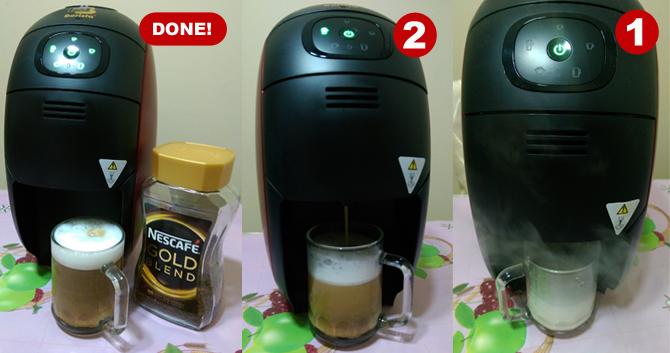 First, I put out the Nescafe Gold Blend Barista Machine from the package. It gets to prepare the free supplied measuring cup and Nescafe’s book manual for you. 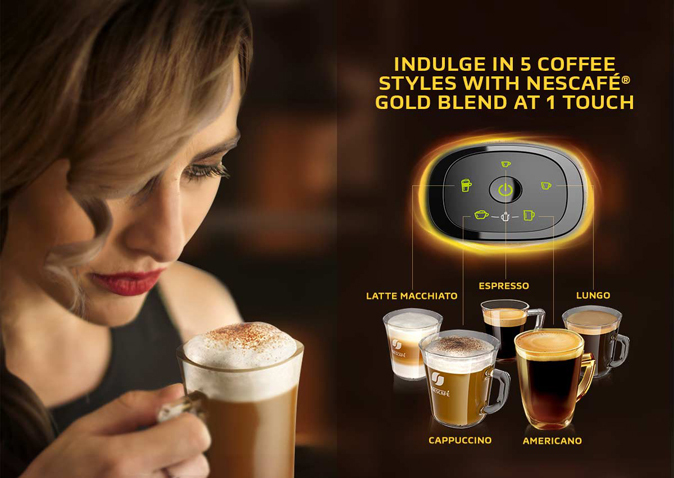 They recommended with Nescafe Gold Barista Style - you can choose which is one of 3 Nescafe products; Nescafe Gold Blend, Nescafe Gold Blend Decaffeinated, or Nescafe Gold Barista Style - Intense. *MUST NOT use other brand - coffee beans, it is not suitable for Nescafe machine. 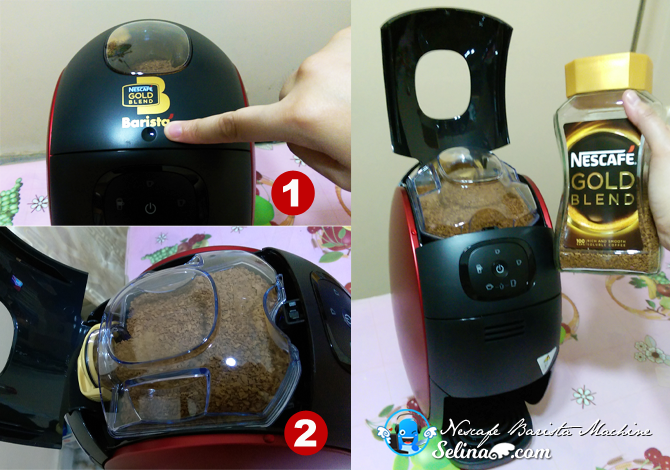 Remember, you prepared the water inside the back of Nescafe machine first, and then you put the coffee beans into a top of machine before it turned to be on. 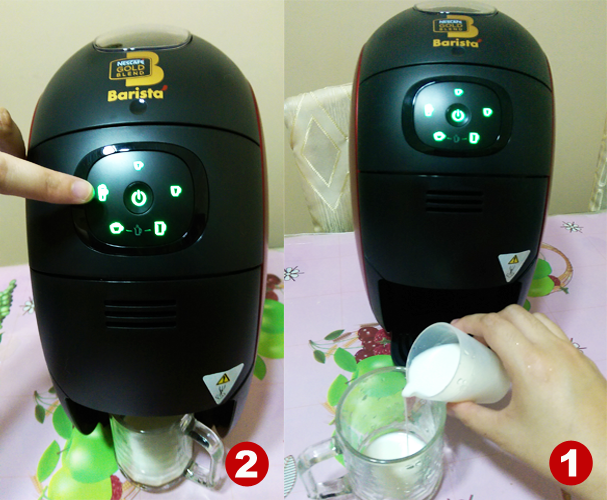 Lastly, you prepare the cream milk (it depends on your preference on the favorite brand of milk) if you to want to make the Latte Macchiato or Cappuccino. 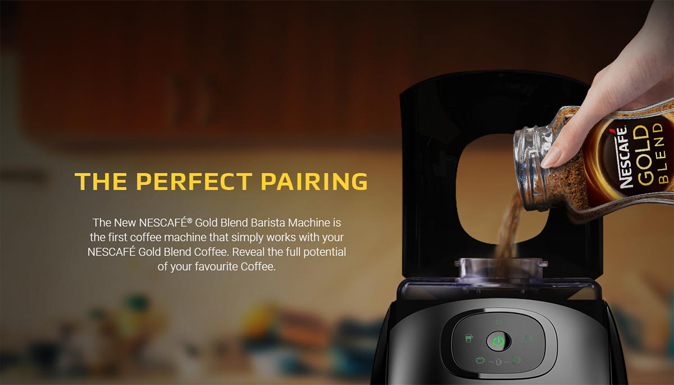 So, Nescafe Gold Blend Barista machine is ready for you to touch on anytime! With using the supplied measuring cup to make the Latte Macchiato or Cappuccino. When I want to prepare a Latte Macchiato drink, I used the milk, just need 60 ml, then put it in my glass cup which need to be into this machine. I just pressed on the Latte icon, easy only! You will get a cup of delicious coffee, can be finish in one minute only! Cool! For Espresso, Lungo and Americano, you no need to use the milk. Just place your coffee cup in the machine so easy. You can choose which your favourite coffee is. From the silky crema of an Espresso to a beautifully layered Cappuccino crowned with rich, creamy froth, NESCAFÉ GOLD BLEND Barista Machine caters to discerning taste buds with its variety, quality and consistency. 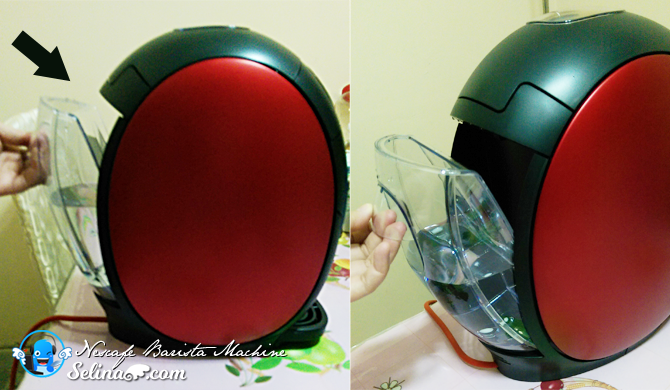 That is why my family amazed by this awesome machine which can make different of coffee, so cool. No worries, you don’t need your skill of making delicious coffee because the Nescafe Gold Blend Barista can get a very arome of premium coffee for you so very fast before you go to your office on every morning! You don’t make any coffee to waste your time. That is very suitable for the busy workers, and students who need to study exam at morning or night time. 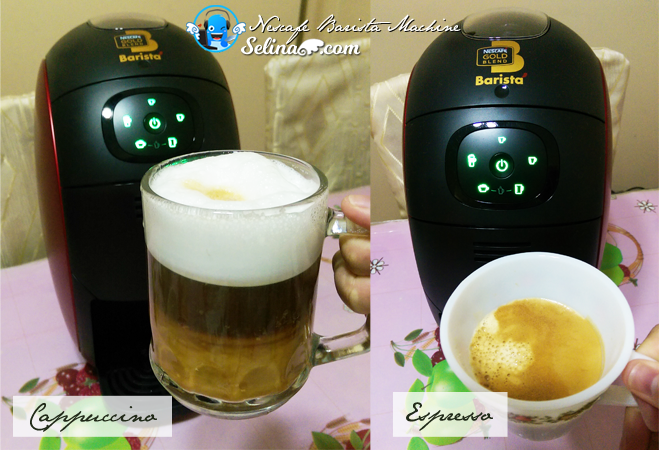 I am very happy with the Nescafe Gold Blend Barista Machine because I could have my family members or friends over and each of us could have any of these different types of coffee - Espresso, Americano, Lungo, Cappuccino, and Latte without leaving the house and with very little effort. It is very great for the coffee lovers who really enjoyed to experience how it can mixed the texture, and taste of the premium coffee blend brings out all the delicious flavours and aroma of Nescafe coffee! Cool, my family and I can enjoy a cuppa of different types of coffee at home. 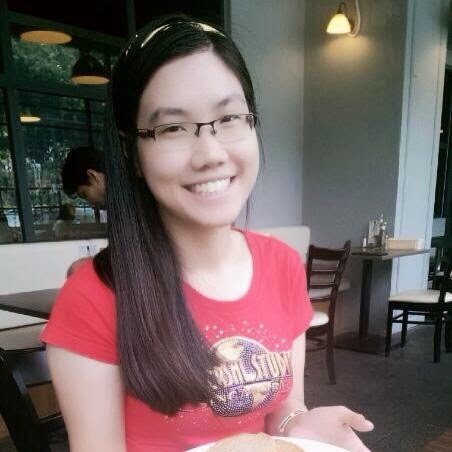 We can spend quality time together and save money in the long run. want to ask, how would this one stack up against espressos made by espresso machines usually found at cafes such as Starbucks? I'm really considering buying this one.